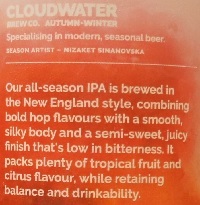 Brewer Description: (from can) Our all-season IPA is brewed in the New England style, combining bold hop flavours with a smooth, silky body and a semi-sweet, juicy finish that’s low in bitterness. It packs plenty of tropical fruit and citrus flavour, while retaining balance and drinkability. 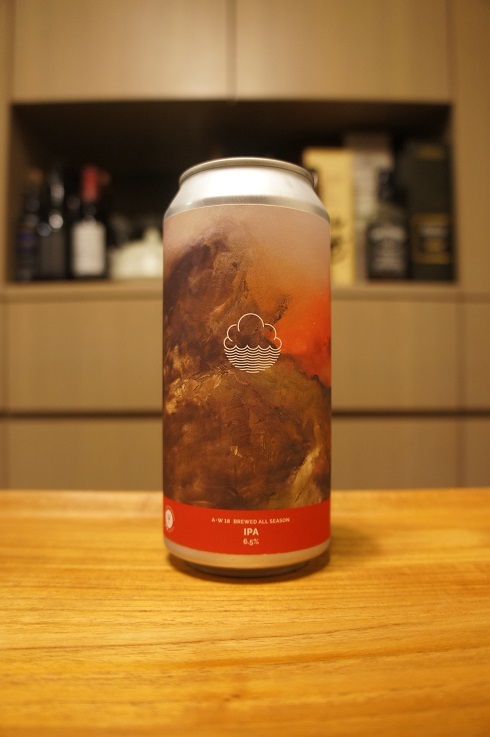 Intro: A 440ml can, canned on 19th October 2018. Poured into a Lost Abbey teku glass. Appearance: A hazy pale orange colour with an almost two finger white head that had pretty good retention while leaving some lacing. 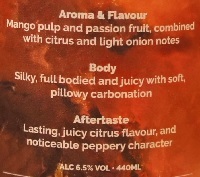 Aroma: Mango, citrusy mandarin rind and peel, orange with hints of pineapple and onion. Taste: Lightly sweet, juicy, mango, pineapple, mandarin rind and peel, orange juice, with an apricot and peppery finish. 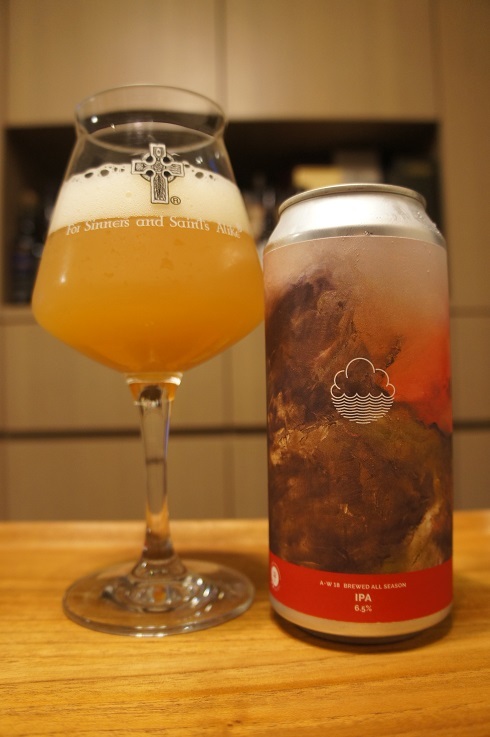 Overall: Great easy drinking NEIPA with a nice balance of tropical and citrus fruit flavours.